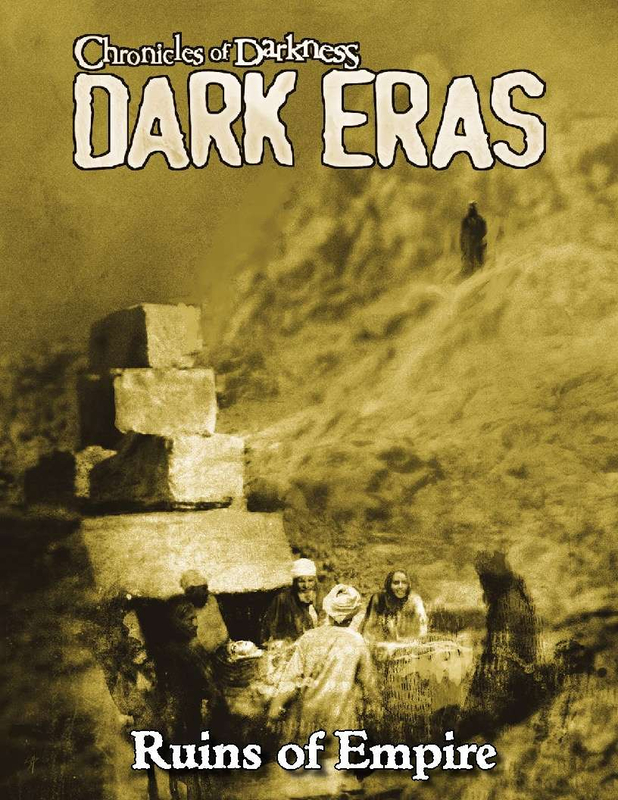 Chronicles of Darkness: Dark Eras reveals the world throughout its long and storied past. Through sixteen eras, you’ll learn the secret history of the world, from the flame-lit tales of the Neolithic to the drug-fueled rebellion of the 1970s. Delve into the past, and learn that the Chronicles of Darkness began long before the modern nights. During this quintessential era of the Mummy in the mind of Westerners, the Arisen maneuver through the intrigues of two great, falling empires: the British and the Ottoman. As mortals catch glimpses of their glorious past, Mummies hurtle towards the Great War, a conflict on a scale unseen in recorded history. This is a single chapter from the larger work, Chronicles of Darkness: Dark Eras. Now available on its own in PDF and Softcover formats. As a companion to Chronicles of Darkness: Dark Eras the Tales of the Dark Eras anthology reveals secrets of the mystics, whispers rumors of the dead, and shines a light into the darkest corners of the world. This collection includes historical stories based within the shadowed past of Vampire: the Requiem, Mage: the Awakening, Werewolf: the Forsaken,Changeling: the Lost, and other Chronicles of Darkness settings. This title was added to our catalog on January 25, 2017.